One of the key things I think the Exhibition excels at, is conveying a sense of action. Action is one of the main components in a PYP curriculum, yet often is something that is hard to assess, hard to pin down, and yet something we as teachers REALLY want to happen! As part of our previous unit How We Express Ourselves we became introduced to Charity:Water. My kids immediately wanted to help and to them, that meant fundraising. We had an elaborate plan but it didn’t make it off the ground. Instead, we ended up trading FUND raising for AWARENESS raising – with great success. Yesterday, I posted a video that my friend and fellow fifth grade Passion Project teacher, Kristen, had used with her class to discuss the difference between a hobby and a passion and how a passion can lead to action. This is the ultimate goal of the Passion Project – to inspire kids to act through their passion. In my class, the culmination of the Passion Project is a talk by each child on their journey. We are really fortunate to have a parent body who are incredibly generous with their time. One of our parents did a number of workshops over the course of the Exhibition on presentation skills which proved to be enormously helpful to the students. Today, Simon Sinek – our “Why” guy – posted an eBook: Speak to Inspire Action. I couldn’t pass it up and downloaded it right away! I would highly recommend downloading this 11 tip book. Not only does it offer 11 simple, effective tips, it also has considerations for you to ponder, and is written in a way that is accessible to (in my opinion) fifth graders. The book is really good. I keep looking for parts to share with you to prove how good it is but I really think you just need to read the whole thing! If you want a comprehensive ‘how to’ on engaging an audience, this is it. If you are unfamiliar with Simon and his work, he is the “Start With Why” guy – a model we use to get the kids thinking about their own and others passions. 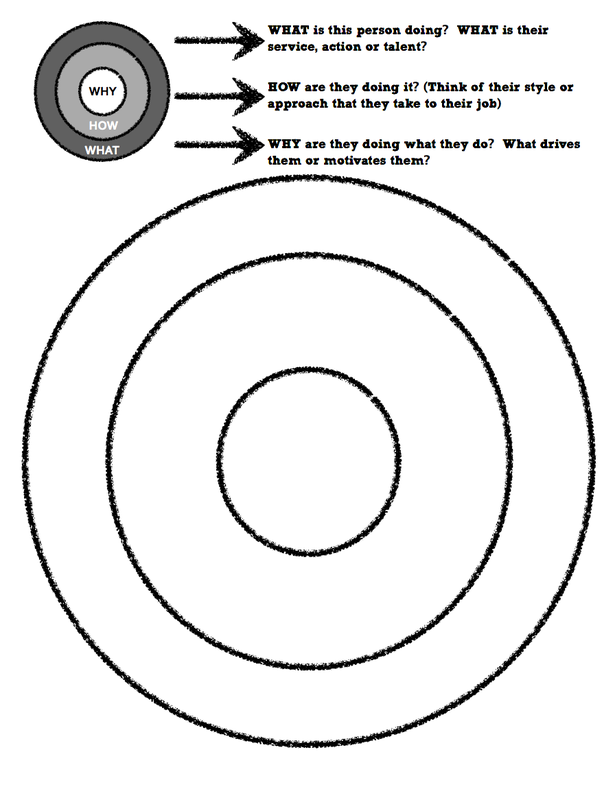 We use Simon’s Golden Circle to help us uncover WHY we do the things we do, the way we do them. Click on the image to enlarge. Click here to download a PDF copy. Thanks Sonya! I’m going to use the circles with my kids tomorrow as we check out another video from Inspire My Kids. I’m inspired! Awesome! We have a great parent who came in last year to help the kids figure out their “why”. I really liked the circles for our Passion Tour – it really helped to focus their thinking.